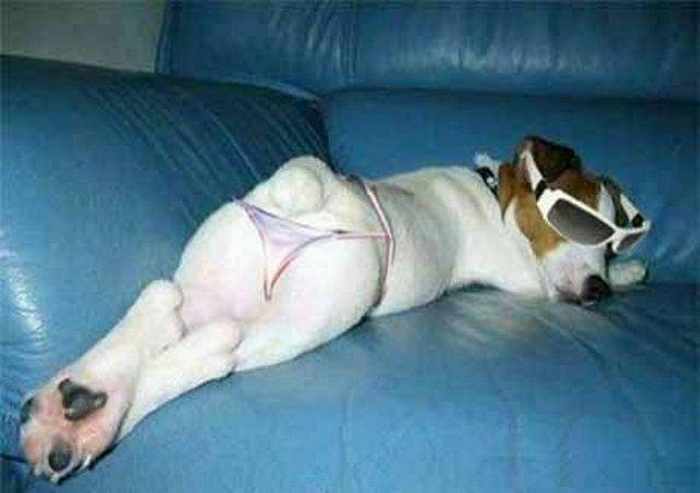 If you’re gonna dress up your dog for Halloween, we suggest making the most of it with a super funny costume. There are funny dogs in an extremely funny costumes. Red Bull always has some awesome cool competitions, here are more pictures of them, just take a look at these funny competition photos! 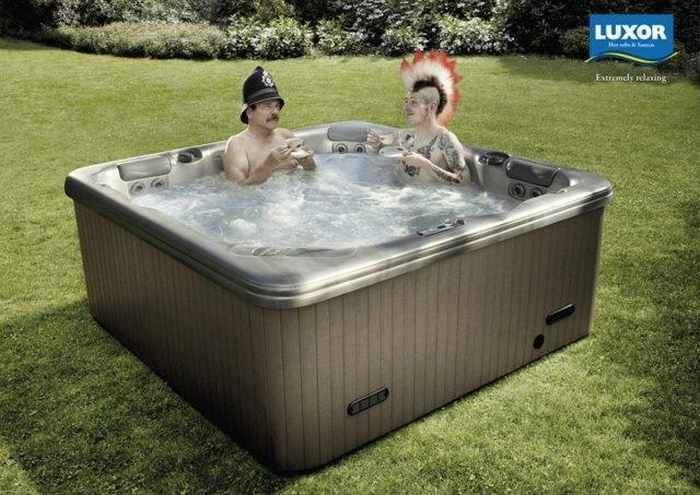 Take a look at this strange but really funny and impressive Luxor advertisement, showing us that different kind of people can take one bath, you will sure like it. Check out this cool funny bike with drums on it, I bet you have never seen something funny like this before. 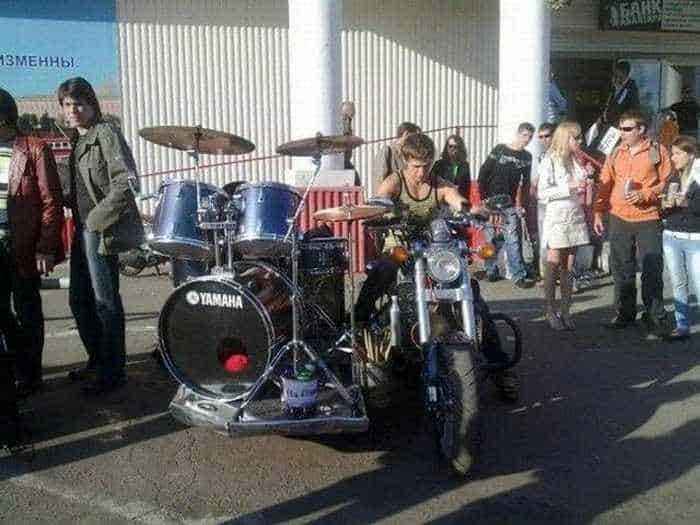 This funny drum bike is specially made for music lovers.